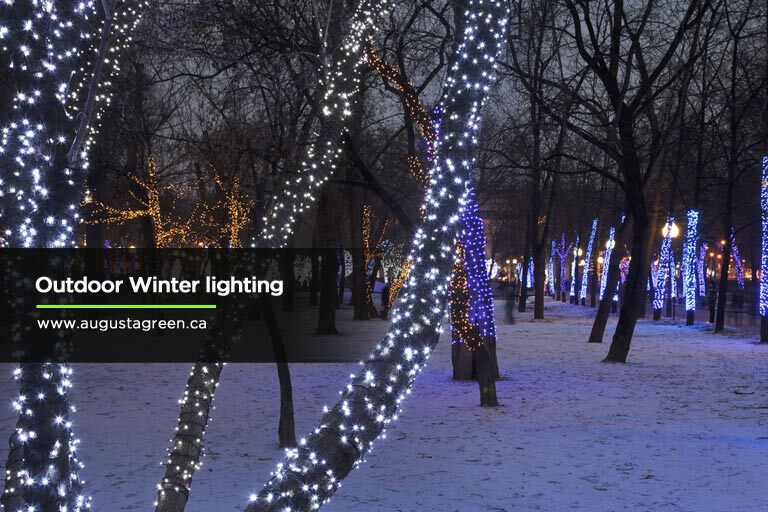 Five Tips for Maintaining Your Outdoor Lighting This Winter | Augusta Green Sprinklers Inc. Being a property owner comes with many responsibilities. A good-looking front yard or garden increases value for yourself and the neighbourhood. In the cold and dark winter months, one way to enhance the look of your property is through the use of outdoor lighting. The setup of the exterior lighting fixtures play a huge role in the overall look and safety of your home no matter the season. It’s particularly essential it is to maintain your outdoor lighting during the winter months. Personal safety is always a top priority. Routine maintenance and checks are necessary to keep all the components of your systems working well. From the plumbing lines to the electrical wiring, it is your responsibility to monitor their condition. Once a year, have licensed professionals check your outdoor lighting to make sure nothing is frayed or damaged. Before the start of winter, conduct a visual inspection of the wiring in and around your property. Walk around the perimeter and look for any exposed or damaged wires. If you notice any potential hazards, call an electrician or your outdoor lighting company to make repairs. Exposed wires or wires popping out or hanging off the beams are big risks. Don’t try to handle the situation yourself — call a licensed expert. It is very dangerous to attempt a DIY job when it comes to the electrical system inside or outside of your house. When you have checked the condition of your electrical wiring, do a survey of all the lightbulbs you have outside. Check if there are any burned out bulbs; they need to be replaced. If you see any light bulbs that are dim or look like they’re approaching the end of their life, you might as well replace them too. Your outdoor lighting fixtures are constantly exposed to the elements. They bear the brunt of the harsh sun in the summer and they have to withstand the dust, pollen, and rain that come with the changing seasons. You can expect that the lenses of your lighting fixtures will be covered in dirt and grime over time. 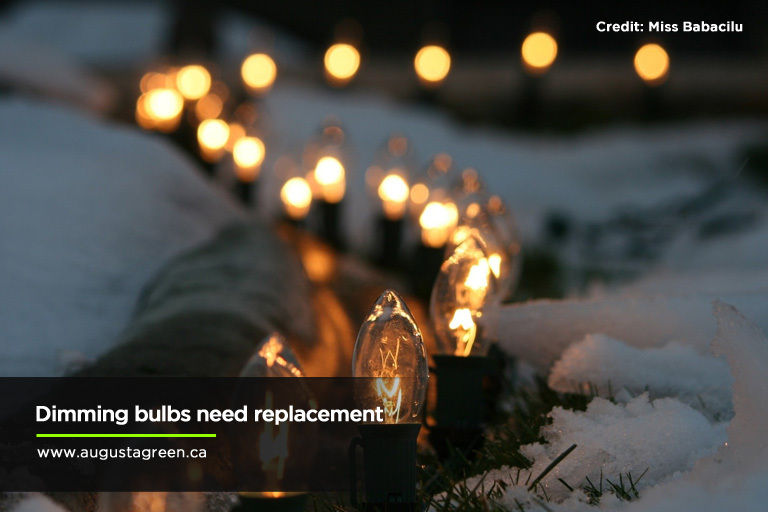 Environmental debris can collect on the lenses of your outdoor lights, making them look dingy and reducing their appeal. It’s important to clean these fixtures at least twice a year. Think about doing it when you have your windows cleaned or check the batteries in your smoke and carbon monoxide detectors. Cleaning your outdoor lights before the winter is important — a clean lighting fixture can give off more light for pathways, patios, decks, etc. To prevent slip and fall injuries, or make nighttime shovelling easier, a well-lit outdoor area is a must. It can be very hard to see during the reduced daylight hours of November-February. 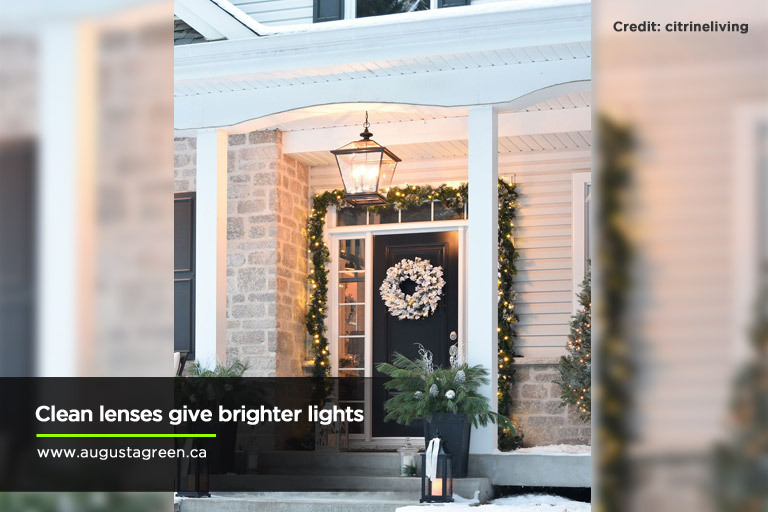 Adequate lighting is needed for both homes and businesses — especially for family members, neighbours, postal workers, and delivery people who might visit your door after dark. The job of cleaning lighting fixtures is easy enough. It shouldn’t take more than a few minutes to go over each side of the glass or a plastic lens with a cloth. Use a soft rag and have glass cleaning solution at the ready. Gently clean the surface and be careful not to leave any smears or smudges. After you clean the lenses, you’ll immediately see a difference in the amount of light the fixture can reveal. Dirt marks and grime can cause a significant loss of luminosity. You don’t want to be paying for electricity when you are not getting the most out of your outdoor lighting fixtures. Simply roll up your sleeves and scrub those surfaces clean. You’ll have a much brighter and safer property. One way property owners deal with dark winter evenings and nights is by keeping their outdoor lights for hours at a time. While this is good idea, the hydro bills can be enormous. 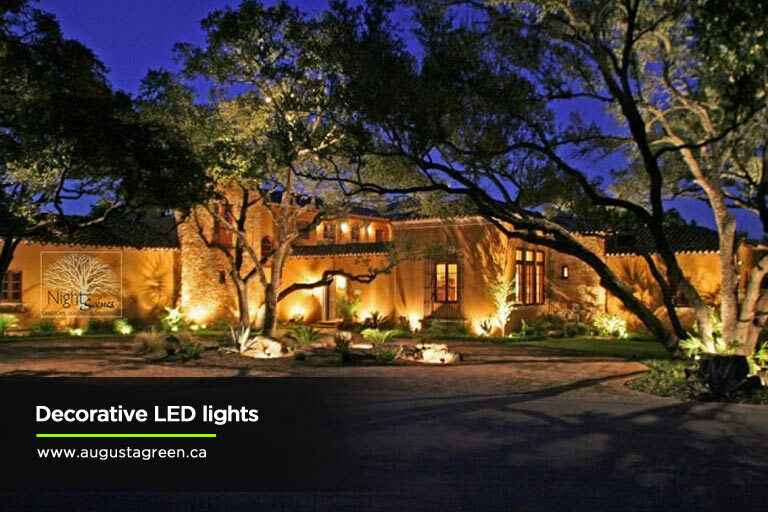 Consider installing LED lights for your outdoor lighting system. You can save money with more energy efficient light bulbs. 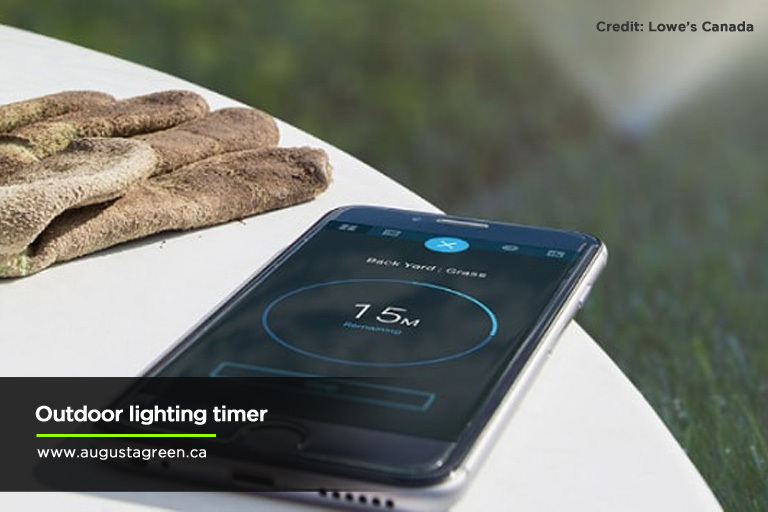 Another way to responsible with your power consumption is to install an outdoor lighting timer. By using a timer, you can establish the number of hours you want your property to be illuminated, and at which times. Another great investment is a light with motion detectors. Light fixtures connected to motion detectors will only turn on when someone moves outside. They’re a great safety feature, and can dissuade raccoons and other night visitors from rummaging through your organics bin. They also deter crime and theft in the area. Take time to assess the layout of your lighting fixtures. 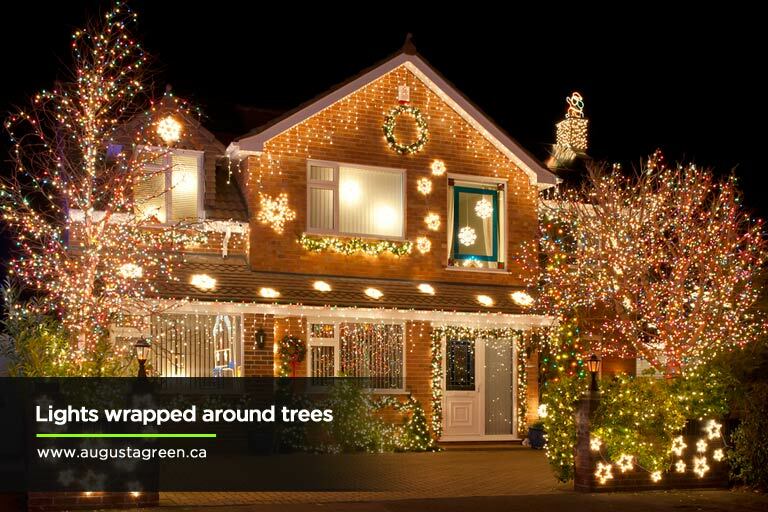 Look at your entire property and note which lights get the most use or which ones seem to be neglected or ignored. Perhaps there’s a corner of your property that doesn’t get much use. By recognizing which areas of your property have high foot traffic, you can adjust the focus of your lighting fixtures, or add interesting uplighting at the foot of trees and stairwells. After all, there’s no need to have bright lights in every single area. Install energy-efficient light bulbs that project a lot of light to areas you use frequently: outside the garage, gate, or entryways to your home or garden. Follow these tips and you can enhance the look of your property with the use of well-placed lighting. From LED lights to fluorescent fixtures, there are plenty of options to keep the perimeter (and beyond) of your home or office well-lit and safe during the winter. Good lighting can make both landscaping and architecture look more attractive. It can also l prevent falls and increase security. There are many reasons to invest in outdoor lighting, but remember to work with a licensed local professional to ensure everything’s done properly and the products are built to last. Elevate the look of your yard or home by installing landscape lights. For beautiful lighting design in Mississauga, Toronto, and Oakville, call Augusta Green Sprinklers at (416) 227-1666. 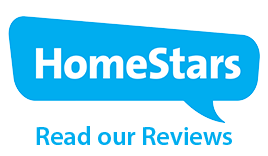 We provide a five-year warranty on all workmanship.